I have written a critique of statements made by Dr. William Dembski, who commented on President George Bush’s recent statement about ID and public schools. Because of the so-called “separation of church and state” issue in America’s public schools, frustrated Christians have been looking for ways to enable students in public schools to hear the scientific problems with molecules-to-man evolution, and alternate views of origins. When the modern ID movement (IDM) came into its own, many saw this as the vehicle by which this could be done. Certainly, the IDM’s efforts to counter the concept of naturalism that pervades science are directed at an important problem. These efforts have opened doors in some people’s minds so that they can think more freely about origins and what life is all about. I understand the IDM’s modus operandi in exposing the massive weaknesses of Darwinism and pointing to an unknown and undefined “intelligent designer” behind life to counter naturalistic evolution. At the same time, I also recognize great limitations to the IDM and great dangers for the church if Christians do not understand the real nature of this movement. In an attempt to deal with these problems and dangers, I have written a critique of statements made by a leading ID proponent, Dr. William Dembski, who commented on President George Bush’s recent statement about ID and public schools. In doing this, I am not completely rejecting the IDM and its efforts [see AiG’s views on the Intelligent Design Movement]. But I want to educate people concerning the real nature of the IDM so that Christians can be ready to proclaim the authority of God’s Word concerning origins (and the gospel) to those who have been challenged to question naturalism and/or Darwinism. Dr. Dembski is a brilliant mathematician and philosopher and the “Carl F. H. Henry Professor of Science and Theology” at Southern Baptist Theological Seminary in Louisville (Kentucky), where he heads its Center for Theology and Science. He is also a senior fellow with Discovery Institute’s Center for Science and Culture in Seattle (an IDM think-tank). Among Christian proponents of intelligent design, many hold to a non-literal interpretation of Genesis 1. I’m one of them. President Bush is to be commended for his courage, wisdom, and foresight in publicly supporting the teaching of intelligent design alongside evolution. Yes, this is better than supporting evolutionary brainwashing in our public schools. But he would have far more courage, wisdom and foresight to support giving Christian (and other willing) teachers the freedom to teach the biblical model of young-earth creation (YEC), as most of the founding fathers of our country believed, with the supporting scientific evidence for YEC, along with a presentation of the arguments for evolution. Obviously, the current widespread understanding of “separation of church and state” makes this difficult, if not impossible, to do in public schools. Note here that we in AiG are not advocating that public schools be required to teach creation, but only that science teachers who hold that view should have the academic freedom to present those ideas in science classes without the threat of a lawsuit against them or the school. Requiring non-Christian teachers to teach creation would be counterproductive, for most of them would almost certainly not represent the view accurately. Courage -- because intelligent design is for now a minority position in science that faces fierce criticism from many in the scientific mainstream (criticism that he himself will now have to face). It really doesn’t take too much courage to vaguely stand up for a theologically ambiguous position, as President Bush did, when most Americans claim to be Christians of some sort and nearly half believe quite a bit of the biblical account of creation. YEC has been a minor but growing position in science for much longer than the Intelligent Design movement (IDM) has been in existence. And YEC is now a worldwide movement involving thousands of scientists. Wisdom -- because he understands that ideas are best taught not by giving them a monopoly (which is how evolutionary theory is currently presented in all high school biology textbooks) but by being played off against well-supported competing ideas. YECism is definitely competing with both evolution and the IDM. The IDM biological arguments (regarding design and complexity in living things) and paleontological arguments (with respect to gaps in the fossil record) against Darwinism are essentially the same as those used by YECists; only YECists were using such arguments long before the IDers. 2 To be sure, the IDers have contributed to the sophistication of the design and information arguments, for which YECists are very appreciative. We are also grateful for the IDM’s exposure of the control of naturalism in the biological sciences. But YECists have also amassed a considerable amount of geological evidence for a young earth and global Flood, which IDers show little or no evidence of even being willing to consider, much less try to refute. We also point out that philosophical naturalism controls geology and astronomy just as much as biology, and that it is these naturalistic assumptions which really are the source of the idea of millions of years. Foresight -- because he sees that intelligent design holds a winning hand in the scientific debate over biological origins. This is quite an audacious claim. How does a view that refuses to identify the “intelligent designer” or to say how or how long ago or how often “he” created (or “intelligently designed,” whatever those undefined terms mean) have the winning hand over evolution in the debate about biological origins, when evolution theory does offer an explanation (albeit an unbelievable one) for all these historical questions above? Furthermore, the ID “designer” must be an ogre to use millions of years of death, disease, suffering and extinction to produce the present world. It is the fully biblical and scientifically compelling young-earth creation/flood model that wins every debate with evolutionists (as even many evolutionists will admit). 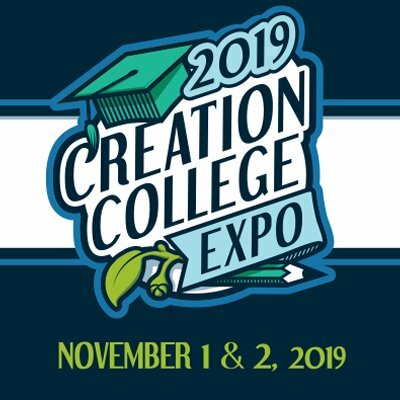 YEC is a clear alternative to the astronomical-geological-biological, “big bang-to-biologist” evolutionary theory because YEC explains who the Designer is and when and how long ago and in what order He created—and also that He judged His once-perfect original creation. This, unlike the IDM model, explains all of reality—complex design of living things, mutations, death, fossils, rock layers, etc. Intelligent design is a winner in the public debate over biological origins not only because it has the backing of powerful ideas, arguments, and evidence but also because it does not turn this debate into a Bible-science controversy. Intelligent design, unlike creationism, is a science in its own right and can stand on its own feet. ID cannot stand on its own feet and is not a science of origins because it has no history to explain when and how the “intelligent designer” worked. Many IDers are not even opposed to biological evolution, but only to naturalistic/atheistic biological evolution. Most of them accept geological and astronomical evolution over the course of millions of years. Evolutionists wrongly suppose that ID is YEC in disguise. It is not, although there are a few rather mild YECists in the upper echelons of the IDM. But the evolutionists are right to suspect a hidden religious and moral agenda behind the IDM, even though it is religiously vague and eclectic (with evangelicals, moderates, Catholics, Jews and various other kinds of non-Christians among the IDM scholars). YEC has powerful biblical, theological, historical, philosophical and scientific arguments to support its view, but most IDers seem quite ignorant of those arguments. Dembski is wrong to cast this as a Bible-science controversy. Furthermore, Dembski is wrong to cast this as a Bible-science controversy. The YEC vs. evolution debate is not “science” against the Bible. Rather, it is atheistic, humanistic, philosophical naturalism (masquerading as “science”) against biblical Christianity and true scientific knowledge. It is a battle at the level of assumptions used to interpret the scientific evidence. It is a battle of worldviews. Evolution is a dogmatic story about the unobserved past, just as creation is based on the divinely inspired history of past that is not scientifically observable today. Christians need to view this as a strength rather than as a weakness of intelligent design. There is a long tradition in Christian theology that sees God’s revelation as coming through “two books”: the Book of Nature, which is God’s general revelation to all people; and the Book of Scripture, which is God’s special revelation to the redeemed. No, Christians should not view the vagueness and Bible-ignoring nature of IDM as a strength. The theological vagueness and ignoring of Genesis is a serious weakness, indeed a fatal error. Dembski expresses here a mistaken view of General Revelation, too. All of the Scriptures that speak of this quality of creation show that what it teaches us is concerned with the existence, identity and nature of the true God of Creation (e.g., Job 12:7-10 , Ps. 19:1–2 , Ps. 97:6 , Acts 14:15–17 , Acts 17:22–31 , Rom. 1:18–23 ). The Bible nowhere suggests or teaches that by studying the once-perfect, now-cursed creation, while ignoring scriptural truths about the origin and history of the creation, we can work out how and when the creation came into existence and how it has changed since then. Accordingly, intelligent design should be understood as the evidence that God has placed in nature to show that the physical world is the product of intelligence and not simply the result of mindless material forces. This evidence is available to all apart from the special revelation of God in salvation history as recounted in Scripture. The Bible actually never explicitly says that creation reveals God’s intelligence (though the creation most certainly does do this). What the Bible says explicitly (see the above mentioned passages) is that Creation shows that the Creator is (1) divine, (2) eternal, (3) powerful, (4) glorious, (5) a personal being (rather than an impersonal force) who prefers to refer to Himself as “He”, (6) invisible, (7) righteous, (8) faithful, and (9) good. When we add to this physical evidence in creation a consideration of God’s dealing with people and nations in history, then we also learn that He is just and wise ( Romans 11:33–36 ). Yet in seeming disrespect for this Creator, the IDM leaders do not acknowledge (in their ID arguments) anything but the intelligence and power of the Designer, without even insisting that He is divine. I am reminded of the words of Jesus, “ For whoever is ashamed of me and my words [which means the whole of Scripture] in this adulterous and sinful generation, the Son of Man will also be ashamed of him when He comes in the glory of His Father with the holy angels ” ( Mark 8:32 ). The Lord told the priest Eli that “those who honor Me I will honor and those who despise Me will be lightly esteemed” ( 1 Samuel 2:30 ). Paul says that to know God and yet not honor Him as God is sin ( Romans 1:21 ). To fail to identify the Intelligent Designer as the God of special revelation (the Bible) is to subtly dishonor Him and, frankly, be ashamed of Him. Creationism, by contrast, takes a particular interpretation of Genesis (namely, it interprets the days of creation as six consecutive twenty-four-hour days occurring roughly 6,000 years ago) and then tries to harmonize science with this interpretation. First, Dembski and other leading IDers ignore Genesis almost completely. In contrast, YECists take it very seriously and exegete it very carefully as the inspired and inerrant Word of Almighty God. Second, a literal six-day creation about 6000 years ago followed about 1600 years later by a world-destroying global Flood at the time of Noah was the virtually universal belief of the church (whether the early Church Fathers, Eastern Orthodoxy, Roman Catholic or Protestant) for 18 centuries. YEC is not a novel view; rather, old-earth progressive creationism, theistic evolution and IDM are the novel views of the last 200 years. See several articles documenting this fact here. Third, true scientific research, when liberated from the blinding assumptions of philosophical naturalism, produces scientific evidence that confirms the literal truth of Genesis and exposes the false interpretations of the physical world by the evolutionists, just as we would expect if God is the author of Scripture and Creator and sovereign Lord and Judge of His creation. Now, it’s true that creationism was largely the position of the Church from the Church Fathers through the Reformers (though there were exceptions, such as Origen and Augustine). Yet, during that time, church teaching also held that the earth was stationary. Psalm 93 states that the earth is established forever and cannot be moved. A literal interpretation of Psalm 93 seems to require geocentrism. And yet every creationist I know accepts the Copernican Revolution. This is somewhat inaccurate and misleading. YEC was not just the belief of the church through the time of the Reformers, but up into the 19th century. While much of the church quickly started to compromise with millions of years in the early 19th century, it was not until about 1840 that the Bible commentaries by orthodox Christians abandoned belief in a young earth and global Flood. As for Origen, he is notorious for his allegorical interpretations of Scripture, so he is hardly a model here. Augustine was not sure if the first three days were literal. But if anything, he believed that creation week was instantaneous, not over long ages. He also clearly believed (1) the accounts of Adam and Eve’s creation and their Fall in sin were literal and occurred less than 6000 years before Augustine lived and (2) the Flood was a global catastrophe. It should also be noted that Augustine did not know Hebrew and only had a modest reading ability in Greek at the end of his life and long after he had done his three commentaries on Genesis (the last being more literalistic than the previous ones). He did all his Bible study in Latin. Furthermore, at the end of his life, he wrote Retractions to correct all of the mistakes of his previous writings and explain what points of his teaching were still unsure. The length of the days of creation was one of those unsure things in his thinking at the end of his life. So he is no help to those who would reject the YEC view. Virtually everyone before the Reformation (whether Christian or not) believed in a stationary earth, but Psalm 93 does not require geocentrism. No one accepts Copernicus’s model of the universe today, for Copernicus believed that the sun was the center of the universe with not only the planets but also the distant stars going around the sun. On these historical points and others see also this earlier reply to Dembski. Although acceptance of intelligent design has now gone international and includes scholars of many different religious faiths and philosophical worldviews, among Christian proponents of intelligent design, the majority hold to a non-literal interpretation of Genesis 1. I’m one of them. In none of Dembski’s writings has he shown (1) any evidence of careful reading of YEC arguments and (2) any exegetical arguments for his non-literal interpretation of Genesis 1 or his ignoring of Genesis 6–9 (about Noah’s Flood). This is disappointing for anyone who claims to be a Christian, as Dembski does. In our view, the evidence of cosmology and geology strongly confirms a universe that is not thousands but rather billions of years old. Granted, this raises problems of theodicy: how, for instance, does one explain death, disease, and suffering among animals prior to the emergence of humans, whose sin, according to Romans 5 , appears responsible for these evils. Yet, in our view, such problems are answerable whereas the scientific evidence for an old Earth and old universe seems unanswerable. Nowhere has Dembski or any other ID leader truly answered the problem of theodicy (massive animal death, disease, extinction, etc. as represented in the fossil record, all occurring over hundreds of millions of years before man came into existence, according to evolutionists). It is one thing for Dembski to assert that this problem is “answerable”; it is quite another for him or any other IDer to answer it. None have to date. Dembski is neither an astronomer nor a geologist, but he apparently trusts completely what the secular, largely anti-Christian astrophysicists and geologists tell us about the age and history of the universe and earth, while ignoring or rejecting the astronomical and geological arguments of his fellow Christians who have earned PhDs in those fields from respected secular universities. To even entertain the thought that old-earth and old-universe scientific arguments are “unanswerable” indicates an inadequate view of the nature and history of science, to say nothing of the biblical teaching about the finiteness and fallen and darkened nature of human thinking ( Romans 1:21 , Ephesians 4:17-18 ). History is littered with “unanswerable” scientific theories or “facts” that were later thrown in the garbage can as false. YECists have given many answers to these old-earth claims. But evolutionists and old-earth proponents generally ignore them and often substitute attacks on creationists’ character or scientific credentials in lieu of a reasoned refutation. Precisely because intelligent design does not turn the study of biological origins into a Bible-science controversy, intelligent design is a position around which Christians of all stripes can unite. And, indeed, there are creationists who also call themselves design theorists (e.g., Paul Nelson). To be sure, creationists who support intelligent design think it does not go far enough in elucidating the Christian understanding of creation. And they are right! Christians of all stripes? The IDM has many Christians in it but also contains agnostics, vague theists and at least one cult member, the ordained member of Rev. Moon’s Unification Church (Dr. Rev. Jonathan Wells). We cannot unite with “Christians” who deny the Bible as the Word of God or ignore it in their thinking on origins, or much less with those who deny the complete and sufficient saving work of Jesus Christ. Yes, there are YECists, like Paul Nelson, who generally move in ID circles and keep some distance from other YECists. But they are a bit of a puzzle. If they believe Genesis 1–11 is literal history, why do they spend all (or most) their time with people who do not believe this and who insist on keeping Genesis out of the discussion (especially in ID books, most of which are published by Christian publishers for a largely Christian readership)? Intelligent design is a modest position theologically and philosophically. It attributes the complexity and diversity of life to intelligence, but does not identify that intelligence with the God of any religious faith or philosophical system. The task for the Christian who accepts intelligent design is therefore to formulate a theology of nature and creation that makes sense of intelligent design in light of one’s Christian faith. ID is indeed theologically and philosophically modest. It is in fact theologically vacuous, since it does not even identify the “intelligent designer” as divine! So how can it possibly formulate a theology of nature and make it fit into one’s Christian faith, when that faith should be based on the Genesis account of Creation, the Creation-damaging Fall, and the Flood, which the ID leaders refuse to deal with? And ID is philosophically short-sighted or blind (apparently sometimes willfully so), for it fails to recognize (or acknowledge) the powerful influence of naturalism in geology and astronomy which is the foundation of the belief in millions of years. Even so, there is an immediate payoff to intelligent design: it destroys the atheistic legacy of Darwinian evolution. Intelligent design makes it impossible to be an intellectually fulfilled atheist. This gives intelligent design incredible traction as a tool for apologetics, opening up the God-question to individuals who think that science has buried God. How can ID destroy the atheistic legacy of Darwinism when its arguments do not and cannot identify the “intelligent designer” as God and many of the ID leaders accept so much of the evolutionary view of history? (Behe, for example, seems to be a theistic evolutionist, following the official position of the Roman Catholic Church.) If the intelligent designer(s) is/are (an) alien being(s), then one could still be an atheist while believing in it/them. Only full-blown biblical and scientific creationism can destroy the atheistic legacy and really make it impossible to be an intellectually fulfilled atheist. Apologetics divorced from Scripture is fatally flawed and dishonors God, the One whose existence is supposedly being defended! The evidence for design in biology is now overwhelming. In the last thirty years, advances in molecular biology and the information sciences have revealed that the most basic form of life, the cell, is an automated city complete with miniature motors and engines, digital data storage, signal transduction circuitry, monorails that move packages from one location to another, and information processing at a level that human technology has not begun to approximate. Even the simplest cell is a nano-engineered marvel. Indeed, biologists now need to be engineers to understand life at the subcellular level. Contrast this with Darwin and his contemporaries, who saw the cell as extremely simple—basically, they saw the cell as a blob of Jell-O enclosed by a membrane. No wonder Darwin never addressed the origin of life in his published writings. For him, the origin of life was not a problem. Rather, how life diversified once it got here was for him the problem. That’s why he wrote On the Origin of Species rather than On the Origin of Life. The origin of life was a problem for Darwin—he just ignored it and waved his hands, thinking that the first living cell did evolve from non-living matter. His was indeed a godless theory. The theory of intelligent design confronts biology with an immediacy of design that many scientists, committed as many of them are to a materialist worldview, are reluctant to accept. But for true scientists, this reluctance must be justified by evidence and not by an allergic reaction to design that is the result of cultural conditioning. Twenty years ago, Oxford biologist Richard Dawkins asserted that “the evidence of evolution reveals a universe without design.” A lot has happened since then, with the evidence of biology now revealing a universe chock-full of design. President Bush is therefore completely on target in wanting intelligent design taught in the public school science curriculum. Everything the IDers are doing to confront the materialist worldview could and can be done more powerfully by YECists, who confront the materialists with scientific, philosophical and biblical arguments. Dawkins’ statement 20 years ago was already monstrously ridiculous even then, as YECists were demonstrating. William A. Dembski is a senior fellow at the Discovery Institute's Center for Science and Culture. In June 2005, he became the Carl F. H. Henry Professor of Theology and Science at the Southern Baptist Theological Seminary in Louisville, Kentucky. He is the author of The Design Revolution, Intelligent Design: The Bridge Between Science & Theology, and No Free Lunch: Why Specified Complexity Cannot Be Purchased Without Intelligence. Beliefnet.com is one of the largest interfaith (theologically nebulous) websites. It is sad to see Dembski, a professing evangelical Christian, using this site to present his unbiblical views. One can only wonder what impact this kind of thinking from a brilliant scholar will have on the impressionable students he teaches at Southern Baptist Theology Seminary and on the wider Southern Baptist Convention and the still wider church (a denomination which, in recent years, has seen many of its church leaders push for full biblical inerrancy from Genesis to Revelation; in fact, we are happy to report that many of Dr. Dembski’s colleagues at Southern Seminary are YECists, and we pray that they will have influence on his thinking). In concluding this response to Dr. Dembski’s article, let me reiterate and emphasize what I am saying and not saying. I am NOT saying that ID arguments about design and information in living creatures are fruitless. They are very helpful and have increased the pressure on the Darwinians. I am NOT saying that ID efforts to expose the powerful influence of naturalism on science is of no effect. We are appreciative of this attack on naturalism as well. I am not saying that we should pass laws requiring YEC to be taught in the public school science classes. But we would like to see teachers who are YECists be allowed to expose the students not only to arguments for evolution and millions of years but also to the philosophical assumptions that creationists and evolutionists make in their scientific work and to the scientific arguments against evolution and millions of years. We want students to be truly trained to be critical-thinking people, who can distinguish between assumptions, facts and interpretations of facts. What we are concerned about is the negative influence that we see the IDM having on the church, in leading Christians (especially Christian leaders and scholars) to ignore the age of the earth issue and what Genesis (indeed the whole Bible) has to say about it. In the church, in seminaries and in books and magazines designed for Christian readers, there is a tremendous need to proclaim the truth of Genesis and expose the lie of millions of years. And we are concerned about the IDM failing to see or point out to Christians that (1) naturalism controls geology and astronomy just as much as it does biology and (2) it is these naturalistic assumptions that lead scientists to conclude that the earth and universe are billions of years old (i.e., without these assumptions being used to interpret the geological and astronomical observations, there would be no evidence for millions of years). Finally we want to assert as true both biblically and scientifically that the creation bears the “fingerprints” not of some unidentified “intelligent designer” but of the almighty Creator, who is none other than the triune God revealed in the Old and New Testaments of the Bible. Those fingerprints reveal not only His intelligence, creativity and power, but also His holy and just rulership over His creation. We are concerned for the glory of God and the truth of His holy Word. We want to see another reformation in the church and so we are calling the church back to the Word of God, starting with the very first verse. See Elisabeth Bumiller, “Bush Remarks Roil Debate on Teaching of Evolution,” The New York Times, August 3, 2005, https://www.nytimes.com/2005/08/03/politics/bush-remarks-roil-debateon-teaching-of-evolution.html. See, for example, James Coppedge, Evolution: Possible or Impossible? (Zondervan, 1973), A.E. Wilder-Smith, The Natural Sciences Know Nothing of Evolution (Master Books, 1981, esp. chapter 4: “The Genesis of Biological Information’) and Henry Morris and Gary Parker, What is Creation Science? (Master Books, 1987). See the books in footnote 2. William Paley’s 1802 book, Natural Theology, and the “Bridgewater Treatises” published in the 1830s were leading examples of design arguments divorced from Scripture and ignoring the curse on creation. Thomas Gisborne made neither mistake in his YECist Testimony of Natural Theology to Christianity (London, 1818). Quoted in Elizabeth Bumiller, “Bush Remarks Roil Debate Over Teaching of Evolution,” New York Times, August 3, 2005, Late Edition—Final, Section A, Page 14, Column 1. “Why President Bush Got It Right about Intelligent Design,” BeliefNet.com, August 2005, http://www.beliefnet.com/news/science-religion/2005/08/why-president-bush-got-it-right-about-intelligent-design.aspx.